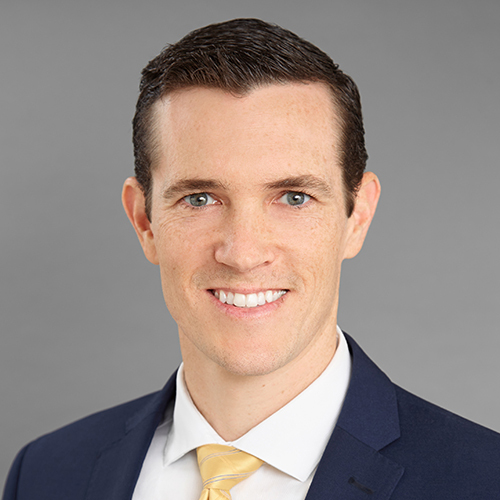 Eric R. Bardwell is a Partner in the Orange County office and is a member of the Firm’s Trusts and Estates department. Mr. Bardwell’s practice focuses on all aspects of wealth transfer planning, including estate planning, charitable planning, business succession planning and post-death administration. Mr. Bardwell routinely assists individuals and families in efficiently minimizing estate, gift and generation-skipping transfer taxes through the creation of wills, trusts, business entities and charitable organizations and the use of gifts, sales and other wealth-transfer strategies. He works closely with each client's team of advisors, including accountants, investment advisors and insurance agents, to ensure the client's personal planning and wealth preservation goals are accomplished in a coordinated manner. In addition, he advises clients on estate and trust administration, probate administration and the preparation of gift and estate tax returns. Mr. Bardwell has been designated as a Certified Specialist in Estate Planning, Trust & Probate law by the State Bar of California, Board of Legal Specialization. In 2014, 2015, 2016, 2017 and again in 2018, Mr. Bardwell was named among the list of Southern California Rising Stars by Super Lawyers Magazine. Only 2.5% of the attorneys under age 40 in Southern California are selected for this honor. While in law school, Mr. Bardwell served as a judicial extern to the Honorable Gary Allen Feess in the United States District Court for the Central District of California and as Literary Editor for the Pepperdine Journal of Business, Entrepreneurship & the Law.